Hiya! Happy Tuesday! What are you cooking for supper tonight? Don't know? 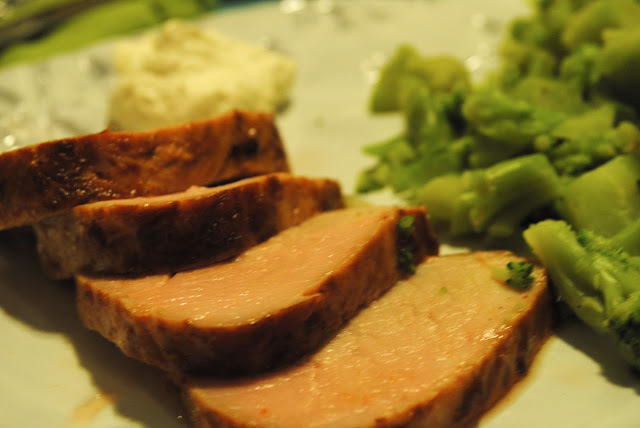 How's about this pork tenderloin? Oh, and by the way, we're going 1970s yellow tint on all these pictures. I was a-hungry and didn't stop to properly photograph it. So this little PT was originally made by my buddy Ginny for one of our cookbook club dinners, it was quite the hit! It's got great flavor, it's easy and it feels super fancy because there's a dipping sauce involved. What is it about a dipping sauce that just makes stuff better? I don't know...but it does. Dipping sauce makes me think of chicken nuggets. I love chicken nuggets! Combine the seasonings with the pork tenderloin and allow it to marinate for no more than 90 minutes. Cook using your preferred method, I followed this technique. 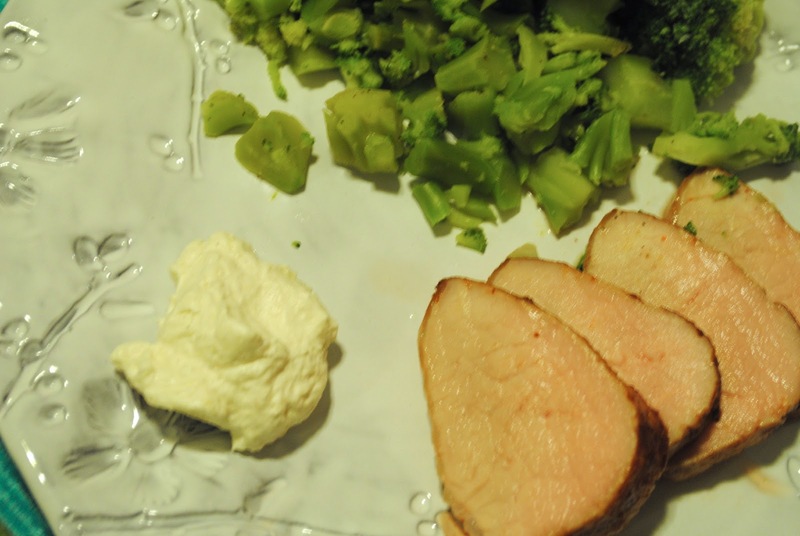 Let the pork rest for a bit, slice and serve with the horseradish mustard sauce. Beat the whipping cream until stiff. Stir in the remaining ingredients. Refrigerate until ready to serve.